Tony winner David Henry Hwang (M. Butterfly) will be penning the live-action musical Hunchback for Disney, Deadline has confirmed. The project is an adaptation of the original novel by Victor Hugo. Eight-time Oscar winner Alan Menken (Beauty and the Beast, Aladdin, The Hunchback of Notre Dame) and Oscar winner Stephen Schwartz (Wicked, Godspell, Pippin) will write the music for the film, with Josh Gad (Beauty and the Beast) producing alongside Mandeville. 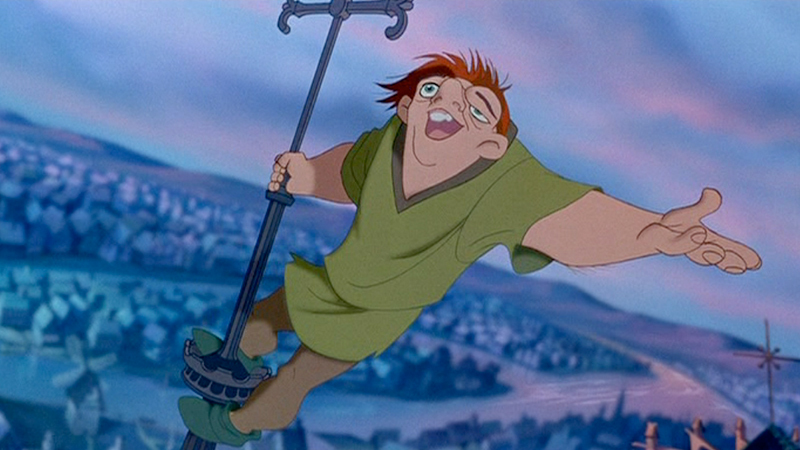 There’s a rumor that Gad might play the lead character in Hunchback, but nothing has been confirmed for casting. Hunchback will pull details from the 1996 animated Disney film The Hunchback of Notre Dame as well as Hugo’s book, but not the stage collaboration from Schwartz and Menken that debuted in Europe. Mandeville’s David Hoberman — the former Disney film president — has been wanting to develop a live-action version of the story for the past 30 years. RELATED: Buy the original The Hunchback of Notre Dame now! Hunchback joins a list of other Disney animated features that are being adapted into live-action projects, including Aladdin, Pinocchio, Dumbo, Mulan, The Lion King, The Little Mermaid, Snow White, and Lady and the Tramp. The post Disney’s Hunchback Being Adapted Into Live-Action Musical appeared first on ComingSoon.net.